What do Dylan Thomas, Cerys Matthews, Rhod Gilbert, Chris Corcoran and Michael Sheen all have in common? You're probably thinking "they're all Welsh" or "they're famous for being creative" or something along those lines. Well, both those things are true but it's not the answer I'm looking for. The thing that connects these talented individuals is that they're helping to encourage, find and celebrate creativity in new writers. They are all involved with The University of Wales Dylan Thomas Prize, the world's largest literary prize for young writers. Named after the great writer himself, the £30,000 prize is awarded to the best published or produced literary work in the English language, written by an author under 30. Previous winners have included Wales' own Rachel Trezise from Rhondda Valley. 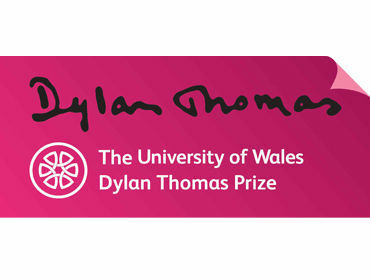 While the main prize is reserved for published writers, the reach of the University of Wales Dylan Thomas Prize extends to many young people across Britain: their charity, DylanEd, encourages school pupils to get passionate about writing, in all its forms. You may even have been fortunate enough to have Michael Sheen visit your school to perform a reading. Judged by none other than Ex-Catatonia frontwoman Cerys Matthews, the new Sony Reader Award was created specifically to support unpublished British novel writers under the age of 30 using electronic book formats for the entire process, from submission of the entries through to judging and then publication. 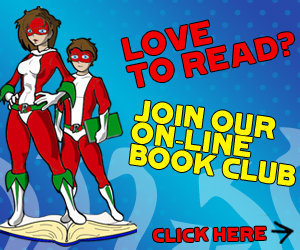 The winner will receive a cash prize of £5,000 and their book will be published in eBook format and made available for download from the Sony UK website. Cerys, who is currently working on her own novel, will join a panel of literary experts including journalist and chair of the panel Allison Pearson, the BBC’s king of period drama writer Andrew Davies and the founder of the Dylan Thomas Prize, Peter Stead. The panel will shortlist three finalists and the winner will be announced at the Dylan Thomas Prize Awards Ceremony on 1st December. Here's the tricky bit: you need to have written a novel, and it needs to be at least 80,000 words in length. As the deadline for submissions is the end of August you probably don't have enough time to write an entire novel before then, so this is for those incredibly-organised people who have already written a novel and are looking to get published and recognised. As for the rest of us: at least we can make a start on our entry for next year's! For a full list of the rules, see here. Dylan Thomas was born in 1914 in Swansea. He was a young person’s hero in many ways: rebellious, but immensely talented. Not just an insular writer but an entertainer and someone whose voice became well known in its time he was frequently heard on BBC radio and he toured around the states as a speaker as well. He wrote plays as well as prose and poetry. Dylan Thomas died at the age of 39, although his influence is still apparent to this day.